If you are anything like me, putting the holidays behind us is easier said than done. 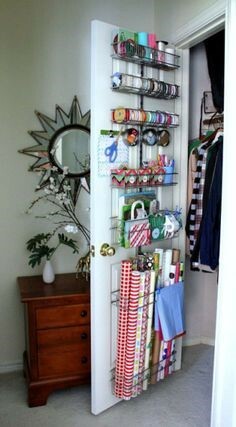 Now is the time to start organizing your gift wrapping closet to keep your gift wrap organized. Here are five DIY storage solutions for storing wrapping paper. When I was a teenager, I was constantly organizing my mother’s home. She would come home from work, and I would have cleaned out and organized her pantry and alphabetized her spices. It drove her crazy! I’ll never forget the day when I dove into my mother’s holiday closet determined to create order out of chaos. I spent the day (yes, it took a day) sorting through Christmas decorations, boxes of pictures, home decor and roll upon roll of homeless wrapping paper. As a teenager with a flair for the dramatic, I vowed that when I had a holiday closet of my own, the wrapping paper would have a home. 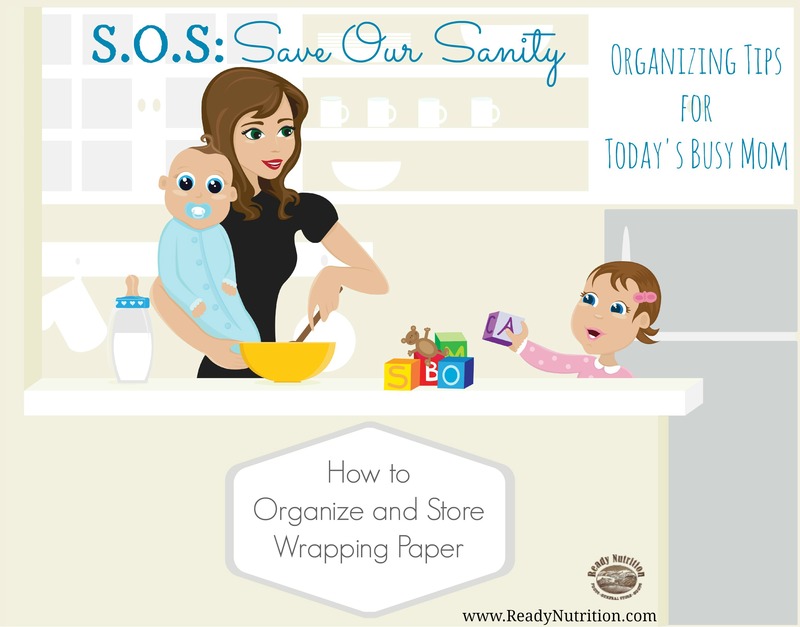 There are a plethora of organizational helps for storing wrapping paper. There are storage containers like this wrapping paper and bow organizer. It fits under the bed and will hold up to eight rolls of wrapping paper and has special compartments for bows. If you would rather hang your wrapping paper, there are products like the Whitmor Hanging Wrapping Paper Organizer or the Jokari Hanging Gift Wrap Organizer. If none of these storage solutions will work for your needs, here are a few other budget-friendly storage options you could try. Take a shoe organizer and cut the bottoms out of the pockets on the second and third sections. If you have really tall wrapping paper, then cut one more row. Purchase a plastic bag holder from IKEA and mount it to your wall. The best part of this idea is that it only sets you back $1.50. Repurpose a decorative laundry basket or hamper. If it has hinges, just remove them, and place the wrapping paper inside. If you happen to have an empty wine crate lying around, the individual wine pockets are excellent for holding a roll of wrapping paper. These are only five DIY storage solutions for storing wrapping paper, but there are more out there. Feel free to add your wrapping paper solutions in the comments section on this blog. I am always ready to hear a new organizational tip.